Domestic supplies of Romanesco broccoli are steady right now. 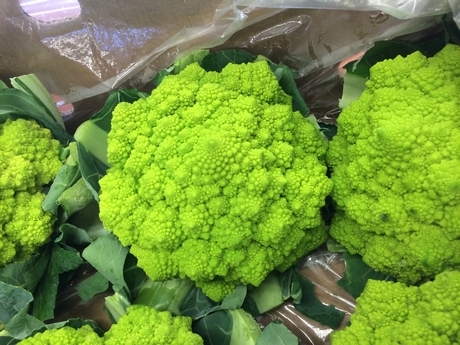 “Supply is good and we expect that to continue,” says Greg Beach of Salinas, Ca.-based Steinbeck Country Produce Inc., a year-round supplier of Romanesco, a uniquely bright green spiky vegetable that’s part of the broccoli and cauliflower family. For Steinbeck, the nutty and mildly sweet vegetable is part of its larger cauliflower line up which includes white cauliflower, orange cauliflower, purple cauliflower and green cauliflower. Right now, Steinbeck grows Romanesco out of Yuma, Ariz. until the middle of March. After that, it returns to Salinas, Ca. and grows there until the end of November. Competing product at this time of year comes out of both Arizona and California deserts plus the Central Coast of California. Beach also adds that harvesting the uniquely patterned, spiked Romanesco is a delicate task. 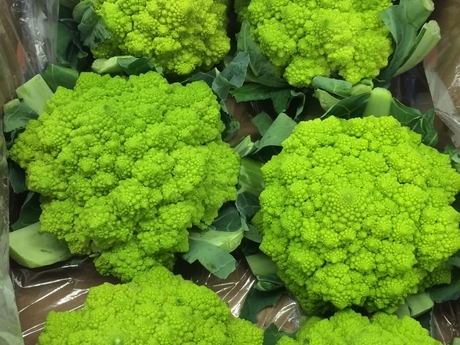 “The beautiful and crazy surface of Romanesco makes it challenging to harvest. The fractals do not like to be bumped or scraped. The harvest team does a great job being super careful and delicate while harvesting,” he says. Beach also adds that the quality of the product is also good which is serving demand from both retail and foodservice clients.